We are always thinking of new forms that we can have in the booth. The bird feeder has been really successful so we started chatting about the next form. I've been really thinking about this and have finally came up with something that is looking pretty good. 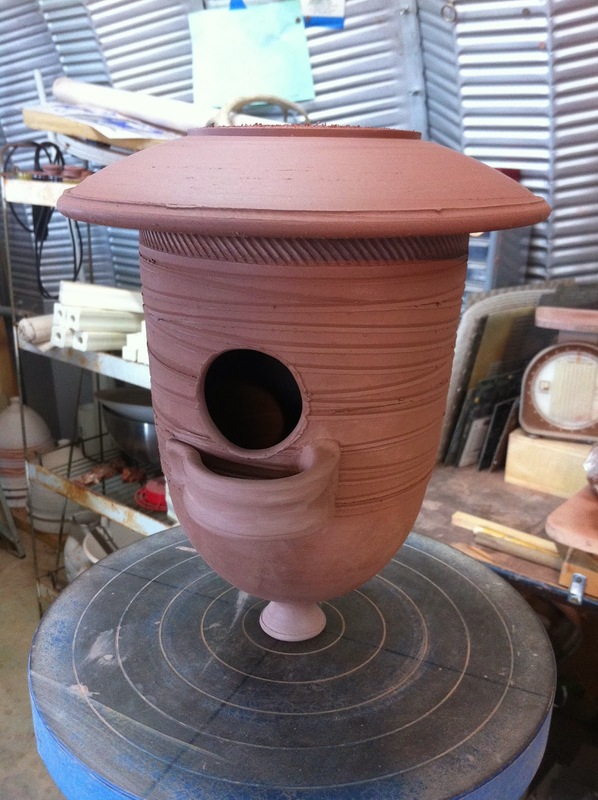 I really like the development stage of making pots. All the trouble shooting and getting the different pieces to look good together is all the fun for me. The perch on the birdhouse is a mug handle which I thought was pretty clever. 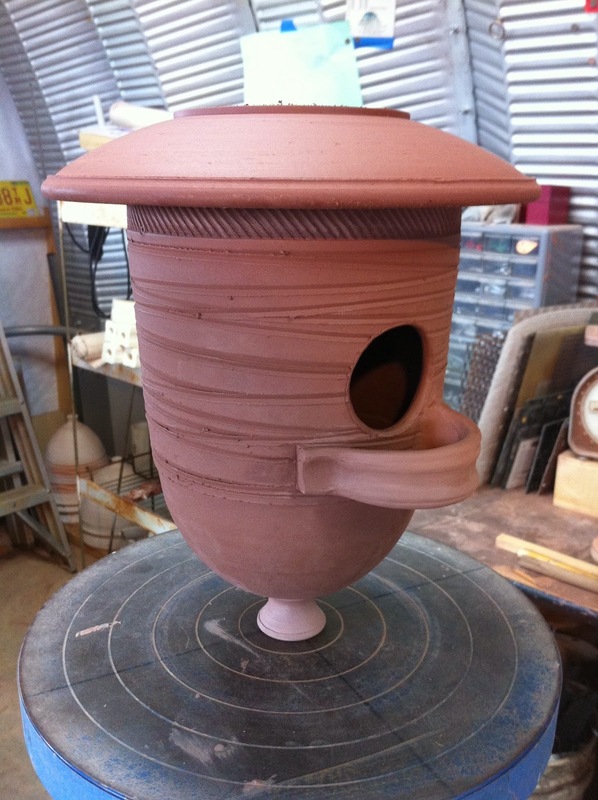 The body of the birdhouse if very similar to the flower pots and the spout at the bottom acts as drainage, a vent and ties it together with the aesthetic of the other pots. 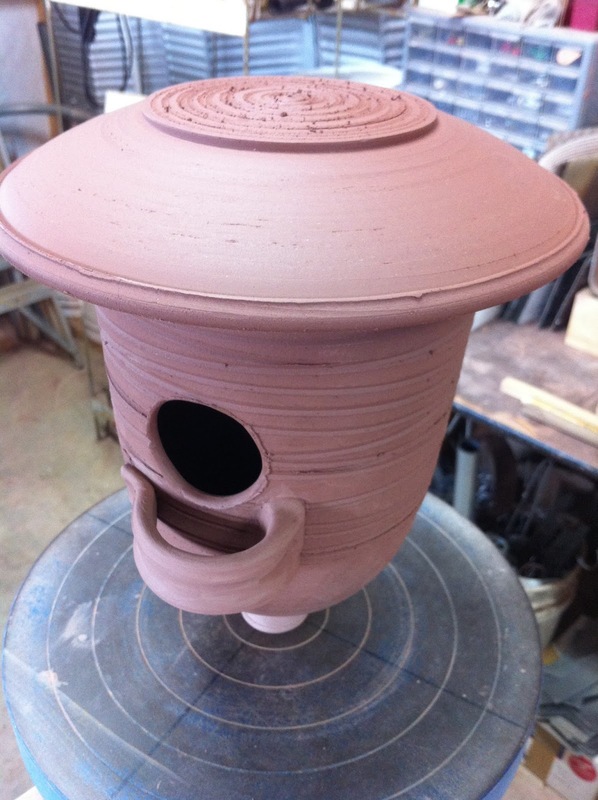 The lid is just like the bird feeder and will hang just like the bird feeder does. I figure the sliding lid will allow for easy seasonal clean out. The hardest part, so far, was trying to pull a handle from the birdhouse at a 90 degree angle. 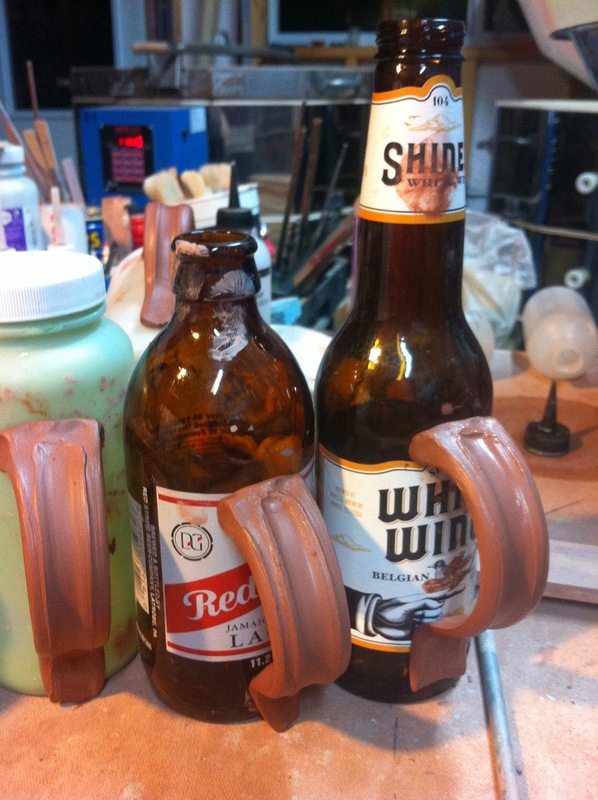 So, I got some beer bottles and attached my handle lug to the bottle and pulled it right on the bottle. When the handle stiffened up a bit I was able to pop it off the bottle and score and slip it to the birdhouse and the connection was still pretty clean. Here are a couple of photos. I'll post more when we actually get one glazed and assembled. 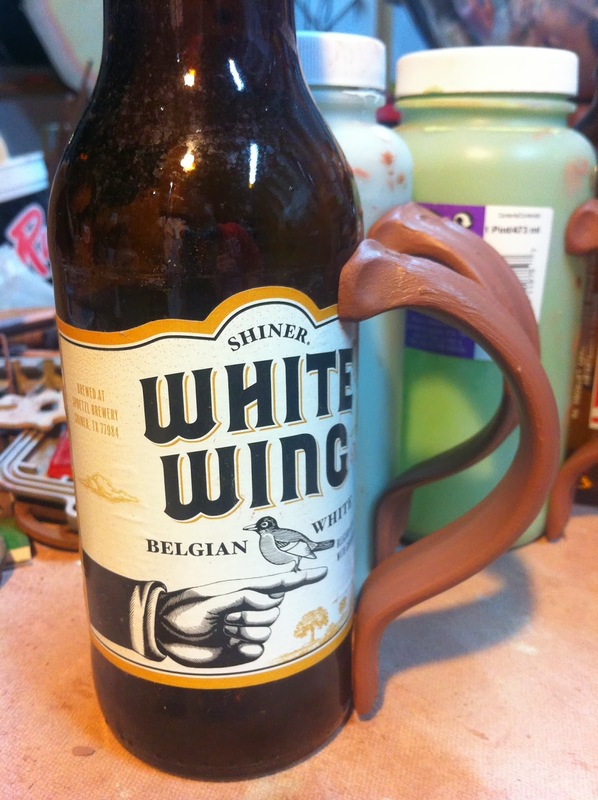 By the way, the Shiner brewery is just down the road from us but they are not paying me to use their beer bottles...darn.